Sargent Ryan Tucker (who I believe is the only Active Duty member of the Babb Family Association) is helping to bring baseball to Latvia. 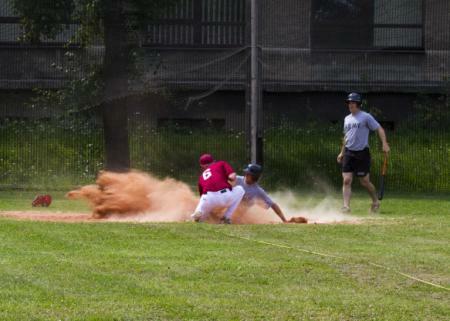 In addition to being the 4th great Grandson of Seth Babb of Greeneville, TN, Ryan is a native of Katy, Texas and is pictured sliding into home plate during a friendly game between paratroopers with 1st Squadron, 91st Cavalry Regiment, 173rd Airborne Brigade and the Latvian national baseball team in Riga, Latvia, July 12. Other images & the rest of the story can be viewed on the Defense Video & Imagery Distribution System’s website.